In less than a decade, scientists located within 200 yards of one another identified the first cancer genes, discovered that a protein by itself can transmit an infectious disease, learned how to clone DNA, and founded the biotech company that created a new industry. The four discoverers, wild cards in the academic deck—Herbert Boyer, Michael Bishop, Harold Varmus, and Stanley Prusiner—came to San Francisco between 1966 and 1970, where they were joined by a cadre of face card leaders determined to transform a provincial campus into a major center for biomedical research. 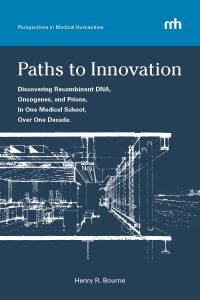 Their stories show that money and facilities are necessary but not sufficient for creative biomedical innovation. More crucially, the best discoverers respond to the lure of adventure and require freedom and time to tackle and solve hard problems in their own way. Rather than follow prescribed paths, real innovators need to roam free.